Red Check Paper Food Tray – 1 lb. 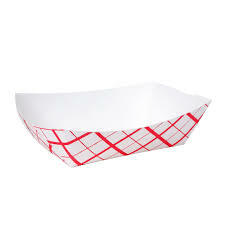 Categories: DISPOSABLE TAKE OUT CONTAINERS, DISPOSABLES, FOOD TRAYS. Red Check Paper Food Tray – 2 lb. Red Check Paper Food Tray – 3 lb. Red Check Paper Food Tray – 5 lb.